Pick up at our office or have it delivered to anywhere in T+T add $28. PRICE $475. SAVE INSTANT $300. 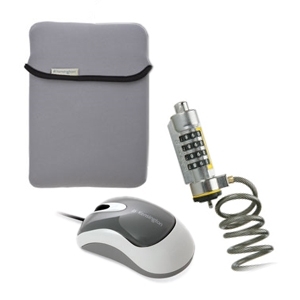 Kensington Essentials Kit for Netbooks - Wired Mouse, Security Lock, Reversible Sleeve for up to 10"
GIGA SALE $675. SAVE INSTANT $325. GIGA SALE $100. SAVE INSTANT $35. 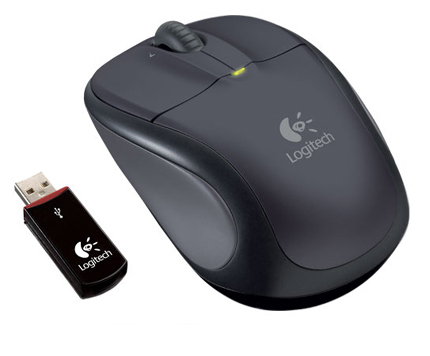 Description Free yourself from wires with the Logitech MK300 Wireless Desktop Keyboard and Mouse. The keyboard features a standard layout with all of the functions you need to stay productive, including media controls and one-touch program access buttons. For extra functionality, the F-keys are fully programmable. You’ll love typing on the wireless keyboard, with its low-profile, whisper-quiet keys. 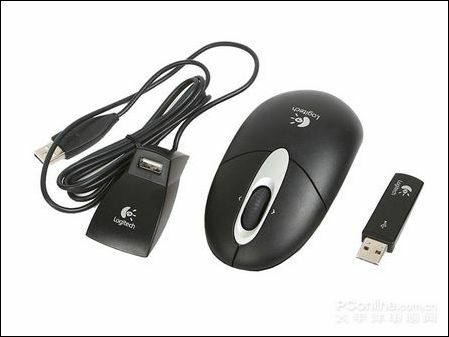 The wireless mouse eliminates the mouse-drag, reducing strain and increasing productivity. Experience a new level of accurate clicks with high-definition tracking. The MK300 mouse offers 1200dpi so your movements remain smooth and effortless. Installing the MK300 is a breeze. Just plug the wireless receiver into any USB port on any PC or laptop and the hardware is ready to use. Best of all, the MK300 features an on/off switch and automatic sleep mode to extend the battery life of both the keyboard and mouse. Wireless freedom never looked this good or worked so well. Own the MK300 today! Other include specials for $25. 7 LED - lights up in several colours. soft top mouse for $39. Illusion Green and clean mouse $65..